Fiji will be the final country in the South Pacific leg of this epic journey before the Peace Torch is welcomed in South America. Arriving into Nadi on the evening of the 4th February, an international Peace Run team will be in Nadi on Friday 5th and Saturday 6th before the departing for Ecuador. 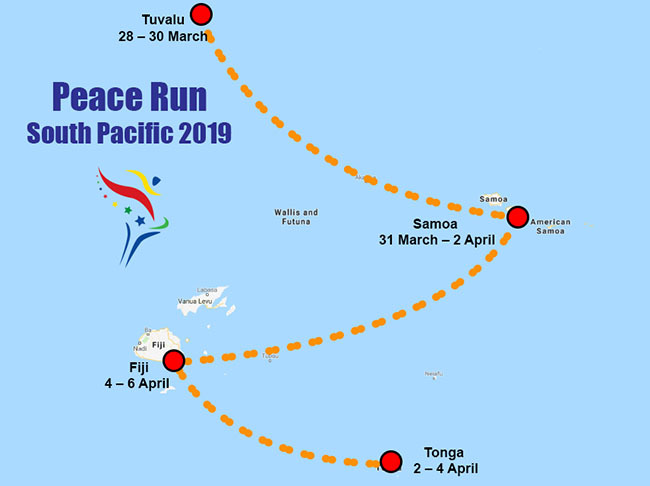 Come and be a part of the Peace Run team during these two magical days in Fiji, and send the Peace Torch to South America with all the heart and goodwill of the Pacific Islands burning brightly in its flame.